Murder on the Interstate is the third novel in Jean Henry Mead's mystery/suspense series. The book features continuing characters Dana Logan & Sarah Cafferty, two 60-year-old amateur sleuths traveling Interstate 40 in northern Arizona in their mothorhome when they discover the body of a beautiful young woman recently shot to death in her Mercedes convertible. They soon learn that the killer is stalking them. Their murder investigation leads them into danger and they're kidnapped by homegrown terrorists plotting to take down the government. "Careen into crime with two intrepid sleuths who outwit terrorists in a fast-paced plot taken from today's headlines. A page turner. " 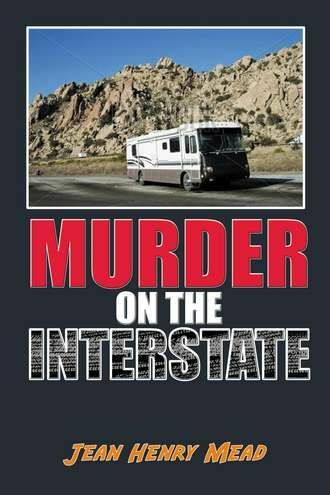 "Murder on the Interstate burns rubber right out of the gate and exceeds the speed limit on every page. With all the car chases, gun shots, screeching breaks, and crashes, the movie version could be the sequel to one of those car-heist action-films. Except for the fact that the protagonists are two women approaching Medicare, and their vehicle is a motorhome. Dana and Sarah are stalwart, clever and funny characters, and author Jean Henry Mead caroms them from one tight situation to another as they weave along the Interstate and into a high stakes mystery." "Full of surprising twists and turns, Jean Henry Mead has produced an RV adventure with her two senior sleuths in hot pursuit of a murderer, but the tables turn and the two women learn that not only are they in danger but so is our national security. An exciting mystery that will keep you turning pages."